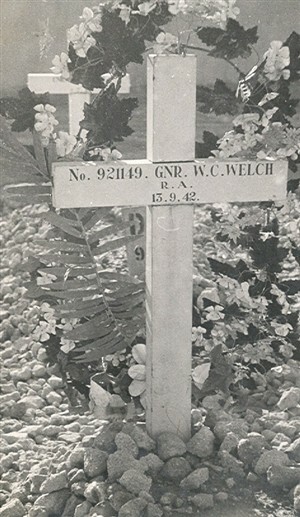 My father William Charles Welch was a Stevenage man who served in the Royal Artillery as a Gunner during World War II. 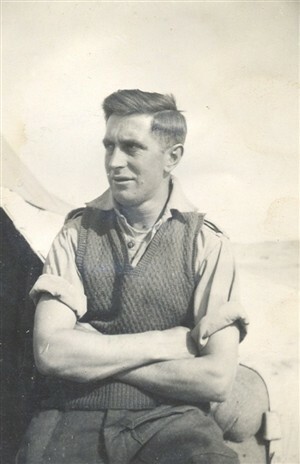 My mother got a message to say he had gone out on patrol and had been taken prisoner in North Africa in 1942. 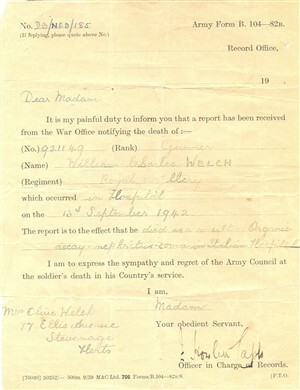 She was officially notified that he was missing on 29th June and was then notified of his death in an Italian Hospital on 13th September 1942, which would have been just before El Alamain. 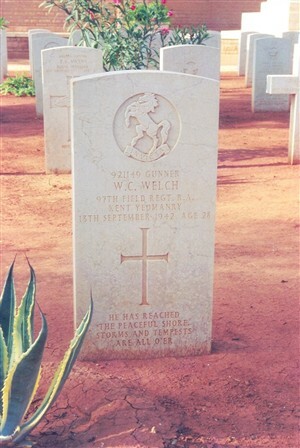 We will never know excatly what happened to him or how he died. 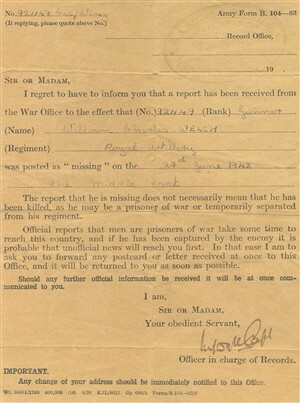 The notifications from the War Office are shown in the pictures.